Another Classic Truck Saved! Photo Picture Classic Cars for sale & Classifieds - Buy Sell Classic Car & Classic Truck Classifieds. 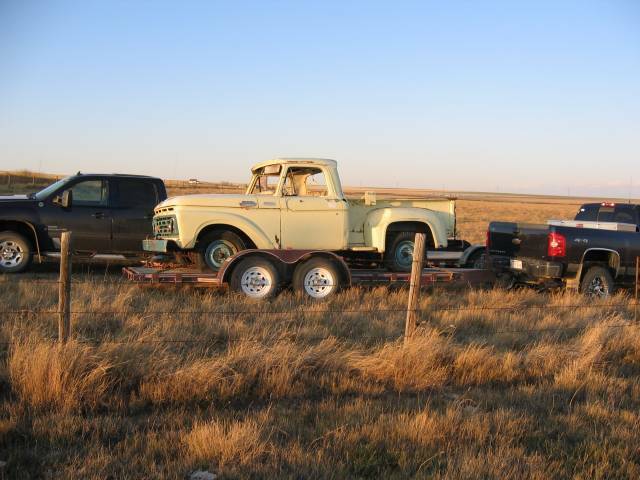 Car Photos > Rusty and Abandoned Classic Trucks > Another Classic Truck Saved! Thank you George for saving this great ride and for sharing the photo! My dad and i restored a truck exactly like that. Its a 1966 f100, 240 cubic inch engine, flare-side. We started the process in february of 2009 and finished it in january of this year. Not many of the flare-side version were made if my information is correct.